Scanned in 2k from the original negatives. The 90's VHS cult classic film is now on Blu-ray! 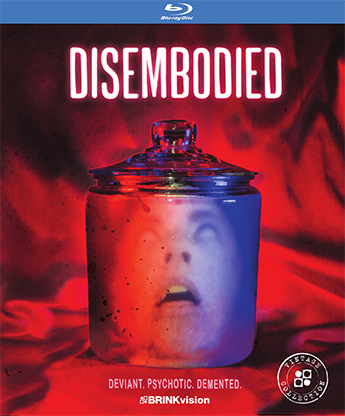 The story of Connie Sproutz, a likeable young woman with the sad problem of a spore-generating deformity on her face which causes difficulties in her day-to-day life such as dissolving into a gelatinous mass anyone who is to be devoured by the neural parasite that inhabits her skull, which is empty due to the fact that she stores her brain in a jar beside her bed. A VHS cult classic that was brought back to life! A must see for any horror/thriller fan!